Sartor, Dino F., age 79, March 6, 2018. Beloved husband of Josephine for 59 years. Dear father of Karen and Don Diehl, Dean, and Michael and Michelle Sartor. Proud grandfather of Gianna and Isabella. 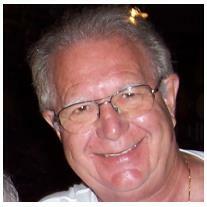 Visitation at Bagnasco & Calcaterra Funeral Home, 25800 Harper Ave. (3 blocks North of 10 Mile Rd.) Thursday, March 8 from 3-9pm with Rosary at 7:00 pm. Instate Friday 9:30am until time of Mass at 10am at San Francesco Catholic Church, 22870 S. Nunneley Rd., Clinton Township.